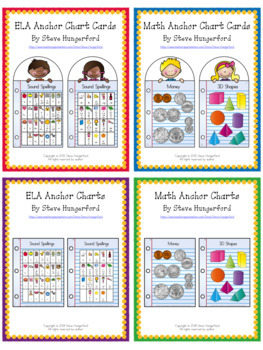 This MEGA bundle includes the anchor chart cards bundle AND the anchor chart posters bundle. I'm selling them for $7.20. This is a 40% saving compared to buying the files separately.